Victoria's ONLY Full Service Home Staging Company - With a half million dollar in-house inventory of rental designer furniture, art & accessories. Our expert Design, Set-up and Installation Service ensures that each property has a unique ambiance and buyer appeal, for the maximum return on your investment. We are Home Staging and Redesign Professionals. For Staging, we create unique and beautiful spaces that help the homeowner sell their home faster and for it's highest price. We also help our Redesign clients with furniture and art placement, paint colour and furniture purchase recommendations. We help them create a space that will incorporate their personality into their home so they will love the home they live in! Typical Job: Includes complimentary consultation, recommendations, half or full day staging or redesign services, take down of staging. Extra costs would be rental furniture for staging and delivery charges. Home Ingredients is a furniture rental and staging company that caters to stagers, designers, builders, realtors, home owners and photographers. We have a large warehouse of inventory that includes: accessories, furniture, lighting, and art which we regularly update with contemporary pieces. We want our customers to be 100% satisfied. Let us know how we can help you find what you need. Our friendly and qualified Home Staging experts are always available to assist our customers with selecting furniture and accessories for their own projects. We also offer Home Staging services for those clients who want a no fuss and friendly approach to staging. Our staging designs are unique to each market and property to create a cohesive, beautiful space that will show your property to its full potential. Want help with your next staging? Contact us to book a quote! 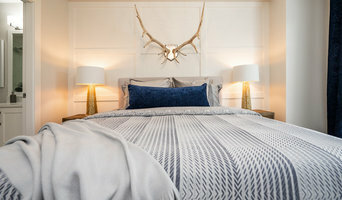 Fine Redesign Home Staging & Decor Inc.
Fine Redesign Home Staging & Decor Inc. is an international award winning Home Staging & Interior Design Company with a proven track record of success. To date, we have assisted thousands of homeowners, realtors and builders and successfully staged, decorated and redesigned hundreds of millions of dollars in local real estate. Based in Langley, we provide Full Service Staging services and Staging Rentals across the Fraser Valley and Greater Vancouver regions. Since 2007 we have staged over 4000 homes & counting. On average, we stage 35 homes per month. Our professional, creative and talented Design Team bring years of combined staging and interior design experience. We stage beautiful homes to inspire a first impression that makes properties more attractive, memorable and desirable to home buyers. 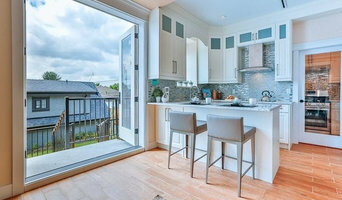 DEKORA changes the game in home staging. We don’t want generic rooms staged with typical looks that appeal to everyone in general – and no one in particular. We want to create beautiful homes that people want to live in. We want to bring homes to life – to create an environment for the person who will LOVE it and make it theirs. Love at first sight. Flüff Designs is Vancouver’s 1st choice for furniture rental and home staging. We have a 40,000 sq ft warehouse with contemporary furniture, art, and accessories for rent or purchase. We offer a variety of services such as staging, interior design, redesign, relocation, event rentals, and more. Whether you are preparing your property for market, trying a new design style or hosting an event, we have the furniture and accessories that you need. A little Flüff goes a long way! Real-Estate Staging / Interior Decorating Magic Homestaging provides a stylish, fun, educational and quick decorating or staging experience. We will save you time and money and have your homelooking its best! We proudly serve South Surrey and White Rock British Columbia. 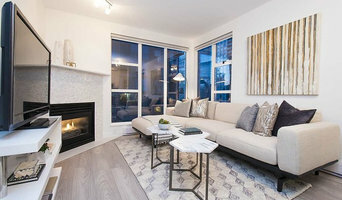 Home Decorating / Interior Styling in White Rock & South Surrey Whether you've just moved in or have been living in the same place for years, your home is everything and you want it to be beautiful. With Magic Homestaging, you'll receive expert interior decorating advice, guidance and assistance and can be assured of stunning results with any project. Positive Space Staging + Design, Inc.
Now serving Whatcom County! When you put your home on the market, it becomes a product. STAGING IS MARKETING. Having a beautifully staged home for MLS photographs as well as in-person showings gives you the competitive edge in today’s real estate market. We have a warehouse full of beautiful furniture & decor and 10 years experience in home staging. ABOUT Carell-Ayne Whalen: I am no stranger to style, fashion and decorating. I grew up with an "avant garde” mother who was the epitome of a woman who was ahead of her time. She never left the house without her fashionable black hat or bright silk scarf wrapped around her head, and definitely not forgetting her string of pearls. No one would have ever noticed her "re-purposed" little black dress. Now that was style! Ever since I can remember I have followed some of the greatest fashion and home designers, including Edith Head (The Dress Doctor), Barbara Barry, and Geoffrey Bradfield. So it was a natural course of events that I would end up in the field of fashion, style and decorating. I worked as a personal shopper for prestigious clients of Holt Renfrew. From there I became an independent wardrobe consultant. In 1998, my partner Charlie & I started an antique business in Sidney, called “Funtiques.” Through this business we were able to combine our knowledge & expertise of antiques and style, and began to style and stage many homes in Victoria. Due to a sudden illness and subsequent death of my partner in “Funtiques”, I decided to down-size & move forward. I staged my own home with my existing furniture and accessories. The good news, the home sold within weeks. I was thrilled! I realized through my life’s journey and experience of loss, grief, transition, downsizing and feeling totally alone - that I could understand and express empathy and compassion for others. Thus became the beginning of Simply Staged. MY DESIGN PHILOSOPHY: Accentuate the positive, camouflage the negative! Envious Design Inc. is based in beautiful Vancouver's west side, we specialize in providing luxe home staging and property styling services. Our design philosophy is much more than just enhancing your property's aesthetics. At Envious Design Inc., we bring style, beauty and function into your lives. When selling your home, we merchandize your property by transforming it into a desirable product on the market and creating a lifestyle to the next buyer. Potential buyers buy on emotion, they are looking for a home that evokes a feeling of warmth and happiness. Our goal is to get you noticed in Vancouver’s hot real estate market achieving a faster sale of your property and obtaining top dollar. ReDesign was created with the idea of making interior design available and affordable to everyone. From concept to execution, we help our customers to build their dream home. Whether a complete renovation, or redecorating spaces or staging property to sell fast, we have the right solution. ReDesign also offers the unique online services which is tailored for those homeowners who are DIY but need some guidance with their projects. For us there is no small job, every job is fun! We love what we do! We are a one-stop resource & rental centre providing designer furniture and décor to Victoria, BC! What does a Central Saanich home stager do? Home staging companies in Central Saanich, BC employ a variety of different techniques to present the home in the best light possible. The first step will likely be to make sure the home is impeccably clean, including the exterior of the house. Next the home stager will work on removing the personal touches that are unique to the current owners. Paint colors might go from dramatic reds and purples to neutral tones like beige and taupe, in order to appeal to the masses. The home will likely be cleared of family photos, risqué artwork, collections and knickknacks, so potential buyers will be able to better envision their own life in the house. In some cases furniture will be swapped out, and you might not even recognize your own house. Some Central Saanich home stagers tackle most of these tasks themselves, while others work with subcontractors and other professionals to get the job done. Here are some related professionals and vendors to complement the work of home stagers: Interior Designers & Decorators, Photographers, Real Estate Agents. The process of staging a home can be difficult for some homeowners, especially when being asked to change things you’ve poured your heart and soul into over the years; but try not to take anything personally, as the stager only has your best interest in mind and no intention of insulting your personal taste. 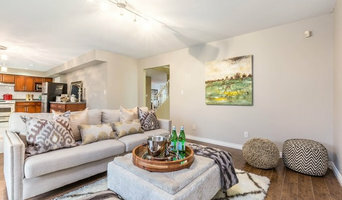 Before you contact a professional home staging company in Central Saanich, BC, make sure to consider a few things: Are you willing to change your home and take the advice of this professional to help sell your house? Do you think your house would greatly benefit from the help of a stager? How long are you comfortable having your home on the market? A staged home is likely to sell faster and, on occasion, at a higher asking price than a non-staged home. While there is no guarantee this will always be the case, it’s often true and can make the entire selling and moving process a lot less stressful in the long run. If you are selling through a real estate agent, it’s a good idea to get their opinion on whether staging your home would be beneficial to your specific situation. 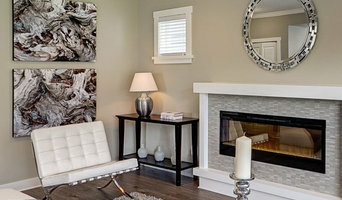 Find a certified Central Saanich home stager on Houzz. Narrow your search in the Professionals section of the website to Central Saanich, BC home stagers. You can also look through Central Saanich, BC photos by style to find a room you like, then contact the professional who staged it.